The January bushfire decimated the town of Yarloop. 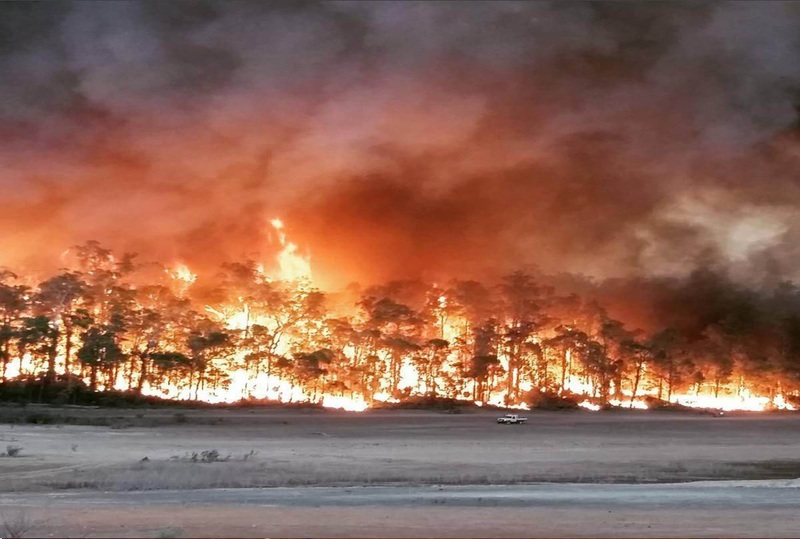 THE State Government has announced it will go ahead with establishing an independent Rural Fire Service, in the wake of January’s deadly Yarloop and Waroona blazes that killed two people and destroyed 181 properties. Association of Volunteer Bush Fire Brigades WA president Dave Gossage said the service would see a new approach to protecting communities from the threat of bushfires this summer. “The Association welcomes the Government’s announcement to adopt this key recommendation from the Ferguson Inquiry,” he said. “The news will be welcomed across a large swathe of our state that is exposed to the annual threats posed by bushfires. The Ferguson Inquiry refers to the review of the devastating South-West fires, which was conducted by former Victorian Country Fire Service chief Euan Ferguson. Mr Ferguson, who recommended the State Government create the Rural Fire Service, warned that the prospect of a future catastrophic bushfire event was increasingly likely if change did not occur. Mr Gossage said the Association thanked Premier Colin Barnett for establishing the Inquiry and acting upon its findings. “We are pleased that the Government recognised the need for major reform to overcome problems that have plagued our current bush fire management system in recent years,” he said. “The decision endorses the position advocated by the Association and other emergency services and rural-based community groups for such a service. Mr Gossage also said the new Rural Fire Service would restore proper local community control over their bushfire management. “We are confident that such an Authority will work well with Department of Fire and Emergency Services and Department of Parks and Wildlife in better protecting our communities exposed to the risk of bush fires,” he said. “We will now get on with assessing the details of the government’s response and provide further comments in due course.